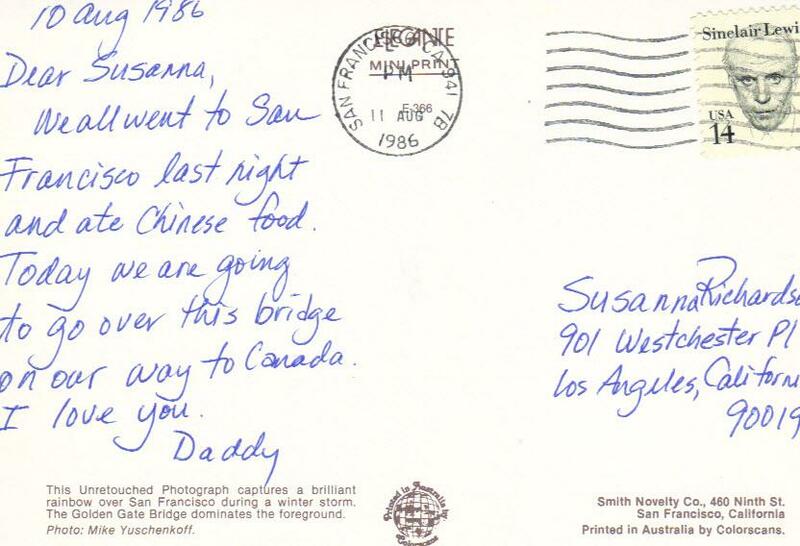 Dear Susanna, We all went to San Francisco last night and ate Chinese food. Today we are going to go over this bridge on our way to Canaada. This Unretouched Photograph captures a brilliant rainbow over San Francisco during a winter storm. The Golden Gate Bridge dominates the foreground. 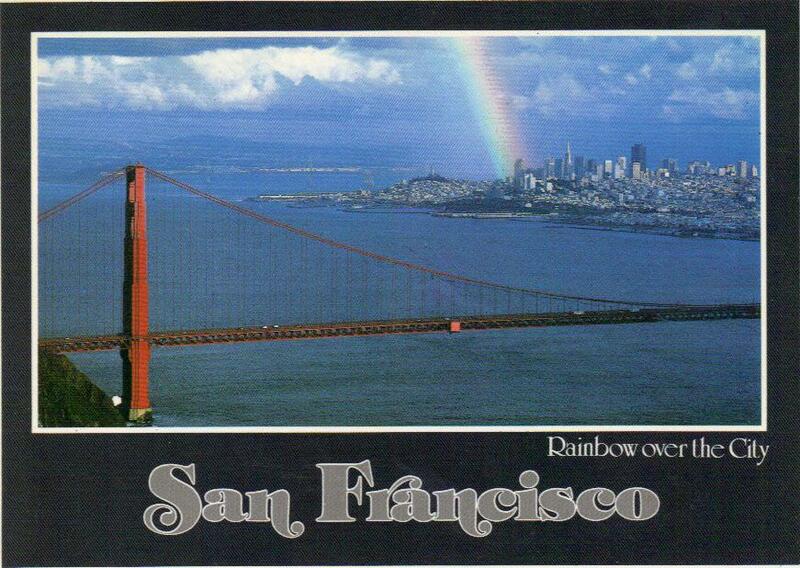 Another postcard in this collection describes LA as "The City At The End Of The Rainbow", and I said that San Francisco was actually "The City At The End Of The Rainbow". I think this postcard proves my point.